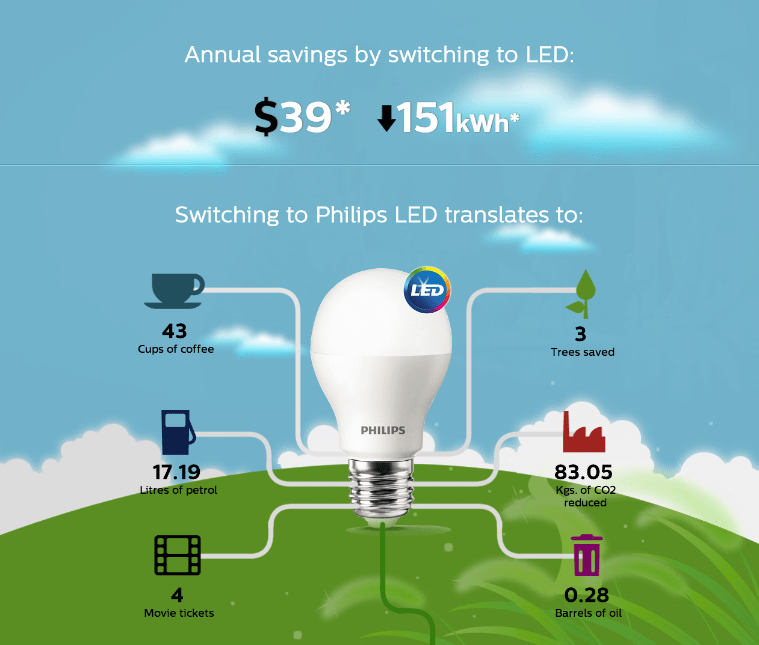 Imagining changing 4 Energy Savers Light used for 4 hours daily to LED Light would save you $39 (Estimated) annually. The cost of LED Light is still double the cost of the Energy Savers but I believe the cost will be coming down as the manufacturing technology mature and the demand for it increase. Let us know whether saving the carbon foot print and energy consumpution will made you SWITCH?